Emergency Dentists USA provides a convenient list of Orlando emergency dentists who are ready and waiting to provide excellent dental care. Our comprehensive listing of Orlando emergency dentists includes the best in 24-hour dental clinics and clinics that provide walk-in services when you need dental care the most. After hours dental services are also available with a simple scroll through our dental listings. Use our 24-hour emergency dental hotline to speak with a professional and caring staff member who can help you to select a great Orlando emergency dentist. Our Emergency Dentists USA operator can even help you setup your first appointment. Emergency Dentists USA has just the right Orlando emergency dentist for your urgent dental problem. Our convenient listing of Orlando emergency dental clinics makes it simple to choose the dentist with the hours that suit your needs, or to select a dental clinic that offers the services that you require to end your dental pain. Walk-in dental clinics – Dental clinics that allow a patient to walk-in without an appointment are perfect when it comes to a painful dental emergency. Although most dental clinics do require an appointment, Orange Dental does offer service at any time of the day via their dental hotline. Emergency 24-Hour Dental Clinics – Clinics that specialize in being open 24-hours a day are tough to find in most cities. Dentist 24 Hour Clinic on International Drive offers dental appointments regardless of the time of day or night. After Hours Dentists – Regular dental clinics that offer extended hours or weekend and evening appointments are important for anyone with a dental emergency. Emergency Dental Care USA – Altamonte Springs is open on Saturday and Sunday for patients with after hour dental emergencies. Use our convenient listings below to find the dentist with office hours or a location that is convenient for you. Simply scroll through the dental clinics and choose a location or call our 24-hour dental hotline to speak with a live person who can provide you with the help that you need to get that appointment set. Description: While staying in the city that is the location of ultra-popular Disneyworld, you may encounter severe dental emergencies with anyone in your traveling group. If you do, our easy to use hotline will steer you in the right direction, so give us a call and find out how an emergency dentist can make you feel good again! Description: Emergency Dental Care USA of Altamonte Springs provides urgent, same-day care for toothaches and other dental emergencies. Whether you have a dental emergency or a nagging toothache, Emergency Dental Care USA has emergency dentists who can get you out of pain and on with your day. They offer several payment options and provide full disclosure of total costs and out-of-pocket expenses before any treatment begins. Description: Offering quick and prompt service from professionals focused on providing the highest quality emergency dental care services, this dental outfit is uniquely qualified to deal with an assortment of dental ER problems that you may face. Even if your setback happens in the dead of night, call their clinic and be assured someone will answer the phone on the other end. Description: The caring and able staff at Metrowest Family Dentistry stays open during Saturdays from 8 AM until 2 PM, to make sure you can get your dental needs taken care of. Many clinics just close their doors promptly on Friday nights, but they understand the importance of being there for the patient at various hours. 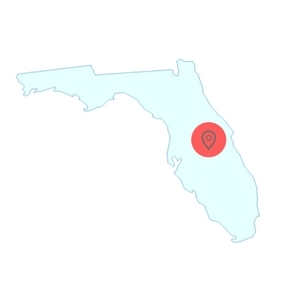 You may just need a standard check-up, or something a bit more complex such as an extraction, either way, this is a prime place in Orlando to locate help. Description: East Orlando Dental has an able and compassionate staff that can get you through the easiest or toughest of dental experiences. They are open on Tuesdays and Wednesdays late, until 8PM. Even though they are closed during weekends currently, they are an excellent resource for providing you and your family everything you need as far as dental needs, and service with compassion and a smile. Arrive at least 15 minutes prior to the appointment in order to fill out any necessary paperwork. Use this time to ask any questions that you might have regarding your dental procedure. Gather any recent dental x-rays along with your dental insurance card and identification to bring with you to the dental appointment. This will help your dentist to make the best plan for your procedure. If you are allergic to any medications, let your new emergency dentist know prior to the dental procedure. Bring a list of your current medications with you to the dental visit. Ensure that your Orlando emergency dentist accepts your form of payment. Most dental offices take credit cards, cash, personal checks, and even offer low-interest payment plans. Let your dentist know what type of dental insurance you have, and ensure that the dental clinic accepts that insurance. Choosing an in-network dentist can save you money when the time comes to pay the dental bill. Some common dental emergencies include a broken tooth or a chipped tooth, a lost filling, or even a loose or lost crown. 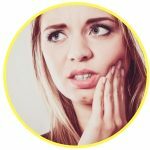 You might also find yourself struggling with a soft tissue injury of the mouth, the lips or tongue, or a tooth that has been knocked out. If you are dealing with any of these common dental emergencies, you’ll want to get in to see an Orlando emergency dentist right away. 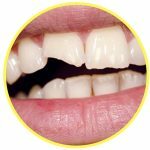 A loose or lost crown is a dental emergency that can become very painful. If you are able to find the crown, rinse it with water and fill the interior with over-the-counter dental adhesive or toothpaste. Place the crown back over the tooth to protect the tooth from further decay and damage. If you are unable to place the crown over the tooth, bring it with you to visit your emergency dentist as soon as possible so that he or she can repair or replace the crown. Try to avoid eating sticky foods like candies or gum until the crown is replaced. A chipped or broken tooth is a common dental emergency that can be painful and embarrassing. Use a cold compress to decrease swelling on the outside of the mouth or cheeks. This will also help to alleviate any pain that you feel. Rinse your mouth and the tooth carefully with water and place the tooth back into the gum if possible. Hold only the crown of the tooth and avoid touching the root. If you are unable to place the tooth into the gum, bring it with you to visit your emergency dentist. Store the tooth in a small container of milk or Save-a-Tooth until you can see your dentist. Objects caught in teeth can become quite painful. Rinse your mouth with water and floss gently to remove the object if possible. Never use a sharp object like a pin to pry between the teeth to remove the object as this can damage the gum or the teeth themselves. Objects that become caught between the teeth can include food items, small bits of bone or even a piece of a toothpick. Use a cold compress to help to alleviate the pain associated with the object caught between the teeth. You might require an emergency tooth extraction if you have a tooth that is crowding other teeth. You might also require this type of procedure if you have a tooth that has decayed severely and cannot be repaired by a dentist. It is important to have the tooth extracted as soon as possible to avoid increasing the need for medications and to avoid possible complications. Your Orlando emergency dentist will generally begin the procedure by taking an x-ray of the tooth and performing an examination. The dentist then chooses either a local or general anesthetic to alleviate any pain that you might feel during the emergency tooth extraction. A special tool is used to pull the tooth out of the gum, and the gum is stitched closed with a type of suture that dissolves over time. Following your emergency tooth extraction, it is important to take any prescribed medications as directed. Avoid eating foods that are difficult to chew and avoid drinking from a straw for at least a few days after the extraction. Heading to the hospital emergency room is a good idea if you have a dental problem that stems from a sports injury, a car accident, or a fall. The physician in the ER is able to examine you to ensure that you have no life-threatening injuries that might include a concussion or broken bones. Visiting the hospital emergency room for a simple toothache or a broken tooth is a decision that could cost you both time and money. Many emergency rooms are just not set up to care for dental emergencies. Often, you will be examined by the ER physician and then referred to an Orlando emergency dentist for the actual dental procedure. Your emergency dentist is very qualified to treat your dental emergency and often can save you money when it comes to repairing or replacing a damaged tooth. This Emergency Dentists USA portal is a website for information only and should be not used to replace the actual advice of a medical professional. If a patient is having an emergency and cannot reach a dentist, call 911 to assure immediate response and safety. When you choose a new Orlando emergency dentist, it is important to ensure that he or she is properly licensed and certified in the state of Florida. The American Dental Association website provides all of the information that you need to choose a licensed dentist for your dental emergency. You can also take a look at the Florida Dental Association website to learn useful information about Florida dental certifications.